Stampin' Dolce: Witching Decor Class! = Quick - register before it is sold out! 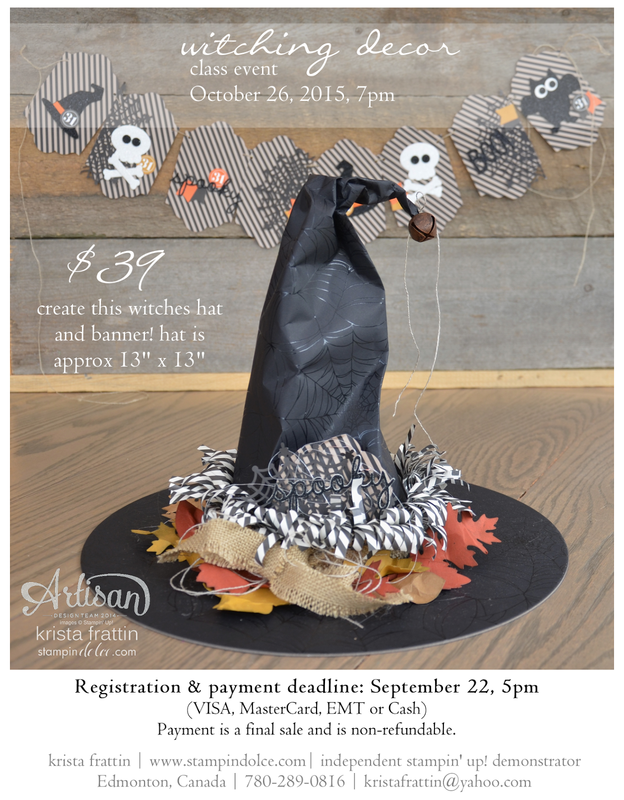 Witching Decor Class! = Quick - register before it is sold out! I am excited to share a new class event with you all! .... but ... there is nearly a sell out situation with the products from Stampin' Up!. This means if you have to have this Halloween Decor you need to register with me TODAY! Yes, today! To register please email: kristafrattin@yahoo.com. Or text me at 780-289-0816.